The city of College Park has discussed the possibility of expanding and upgrading its city hall for more than 20 years. In partnership with the University of Maryland, it's finally happening. 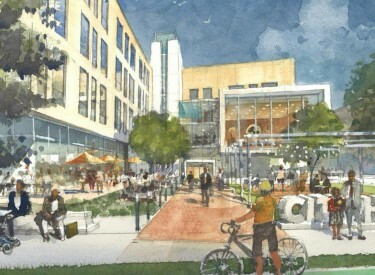 City officials evaluated proposals Thursday from James G. Davis Construction, Turner Construction and Gilbane to tackle the $30 million-plus project, featuring a new 85,000-square-foot mixed-use building at 4500 Knox Road, a block east of Baltimore Avenue. 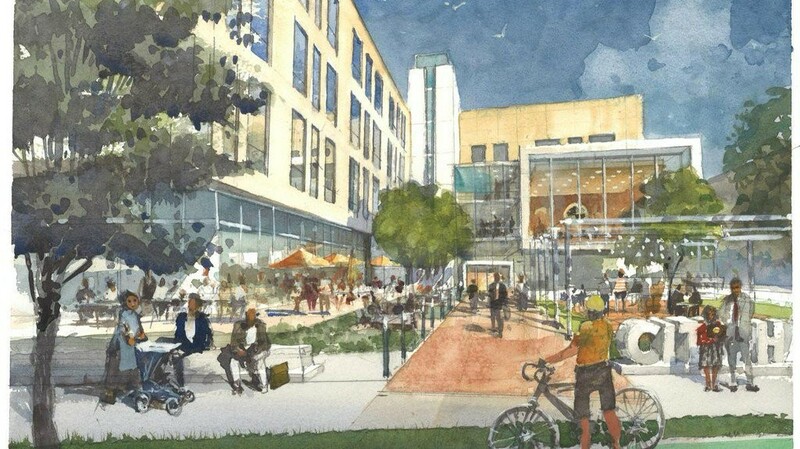 The new building will not only replace College Park's existing 12,000-square-foot city hall but also provide new offices for the university, between 5,000 and 6,500 square feet of ground-level retail and a public plaza. The project is part of a larger push by city officials to draw more foot traffic to the Route 1 corridor, to create a walkable, bicycle-friendly destination that will attract visitors year round to College Park as opposed to relying on business from a student population that only swells when school is in session. "It's really time for us to grow up as a city," said Scott Somers, city manager for the city of College Park. The price tag is projected to fall between $32 million and $35 million, he said. College Park is expected to provide $12.5 million while the university finances its space, although he did not have a specific figure. The university is taking 45,000 square feet. Demolition could begin in a year, with 18 months of construction to follow. Somers hopes the new city hall — to include 30,000 square feet of public and meeting spaces — will be ready for occupancy no later than winter 2021. College Park has leased 3,300 square feet at 8400 Baltimore Ave. for city hall swing space while construction progresses. "There is no doubt that city hall really does need to be replaced," Somers said. "The functionality of it has really become deficient frankly. It doesn't provide I think a warm, welcoming friendly customer friendly experience, which is something we really want to emphasize." Terrapin Development Co., a firm owned by the university, would manage the retail spaces. While the project has been discussed for seemingly ages, the university and city only entered into more serious discussions about a partnership in 2015. To clear the way, the city bought properties at 7409 and 7411 Baltimore Ave. for $1.6 million last year from Margaret Jeanne Kurz Byrd. Somers said some of the restaurants on those property will have to be relocated. "We've already let them know that we do plan on building a city hall and will work with them to see if we can find different space for them," he said.